Ricoh Machines | Sault Printing Co.
We are unable to sell or service equipment that extends outside of our 4 county territory. 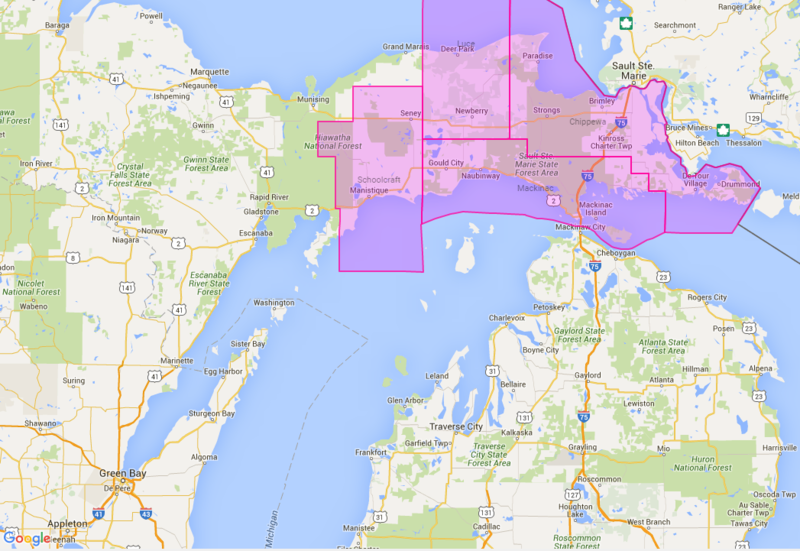 Our 4 counties are as follows: Chippewa, Luce, Mackinac, and Schoolcraft. If you bought a machine from us in a location that is within our territory and have it moved out of territory, we may transfer your maintenance contract to another Ricoh Dealer in the new area. Depending on the special circumstances, we may continue coverage of the device ourself. If you have any questions, please dont hesitate to contact our Sales Department today.